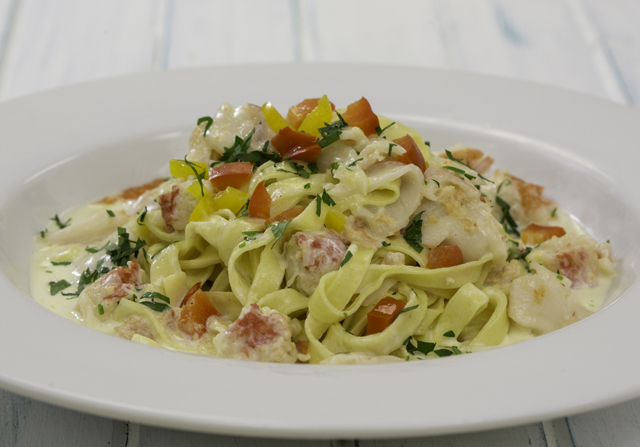 Lobster & Seafood Graffiti Pasta | Recipes | Oceanfood Sales Ltd.
Cook pasta to order or if already cooked heat to order until very hot. Into a sauté pan add lobster and cream and heat. Add in pasta and toss well, serve immediately in a round bowl. Garnish with chopped parsley and diced peppers in middle of the pasta.